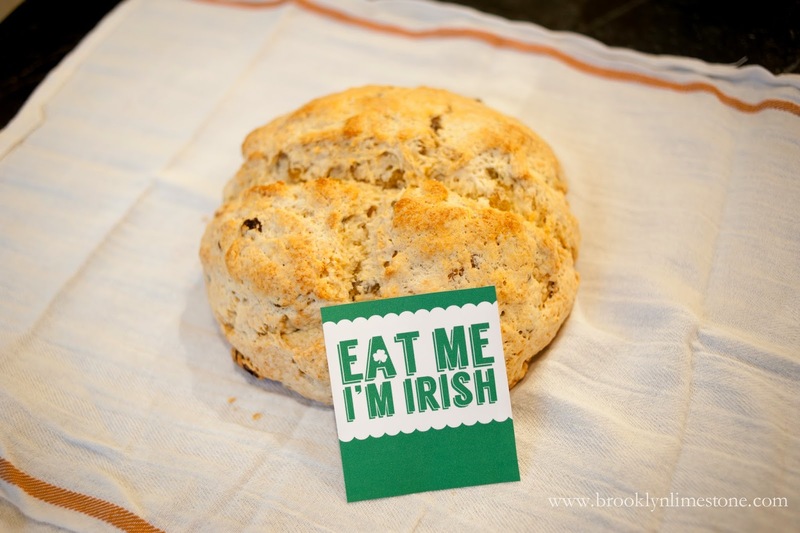 Tomorrow is St. Patrick's Day, famous for corn beef and green beer but my personal favorite March treat is Irish Soda bread. I was fortunate to practically live in the house of an Irish friend growing up and grew addicted to her mother's amazing soda bread. I've been chasing that childhood memory for years. A true Irish Soda bread requires cutting cold butter into the flour in such a way that doesn't overwork the dough but evenly distributes the butter. I have come to accept this as one of the skills I will never master. 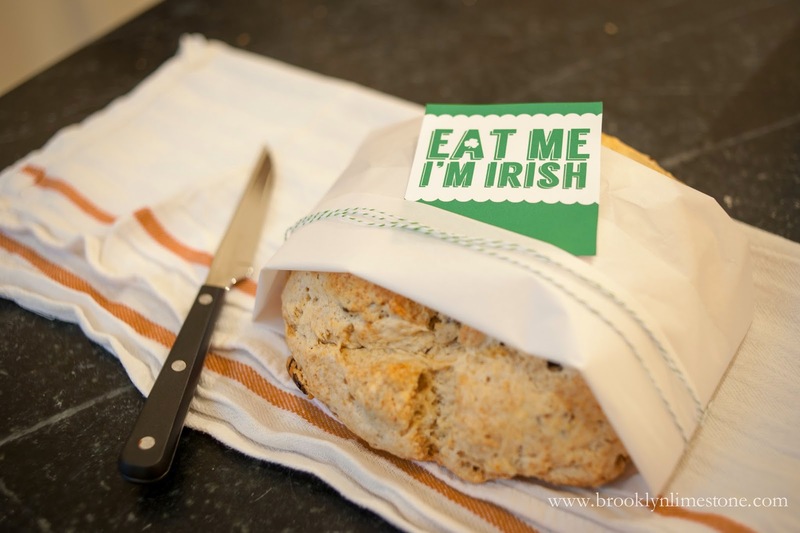 So I'm happy to share this recipe for Irish Soda bread that requires no such special technique that is almost as good as that mythical childhood version. This recipe is easy even for the novice baker (like me). For those of you who aren't familiar with Soda Bread, its a cross between a sweet bread and a scone with a crusty exterior and flaky inside. It's especially delish slathered with Irish butter and served with a cup of tea. If you've never had it, I urge you to throw this recipe together and let me know what you think. May the road rise to meet you & the wind be at your back this St. Patrick's Day and always. For scones, biscuits, and the like, I now use a food processor to cut in cold butter. This weekend i was distracted and my softened butter turned to melted and my soda bread came out just fine. Thank you for the recipe! I made it for Thanksgiving using whole wheat flour instead of white flour and it was great. 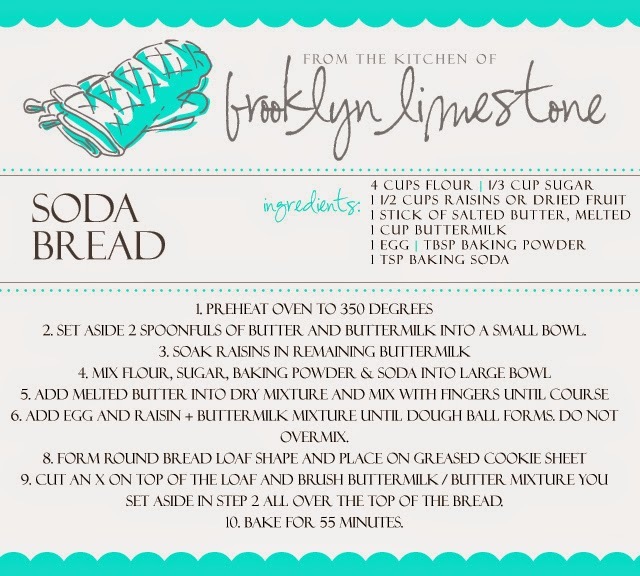 I love the idea of baking it in the iron skillet - it keeps warm so much longer.